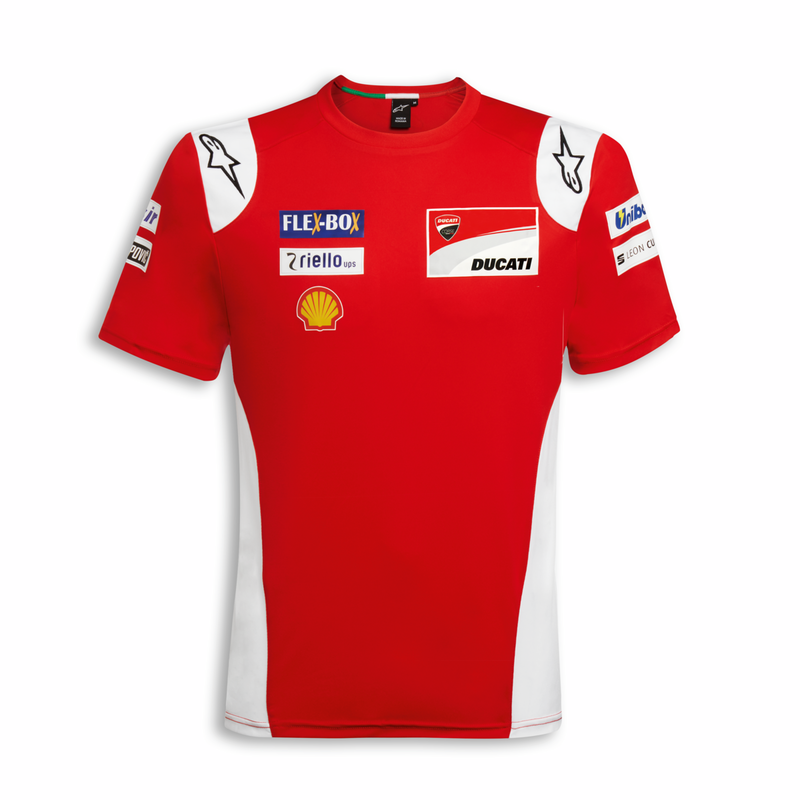 Red and white: the unforgettable colors of the Ducati Team in the replica version of the official T-shirt. A must for every fan. 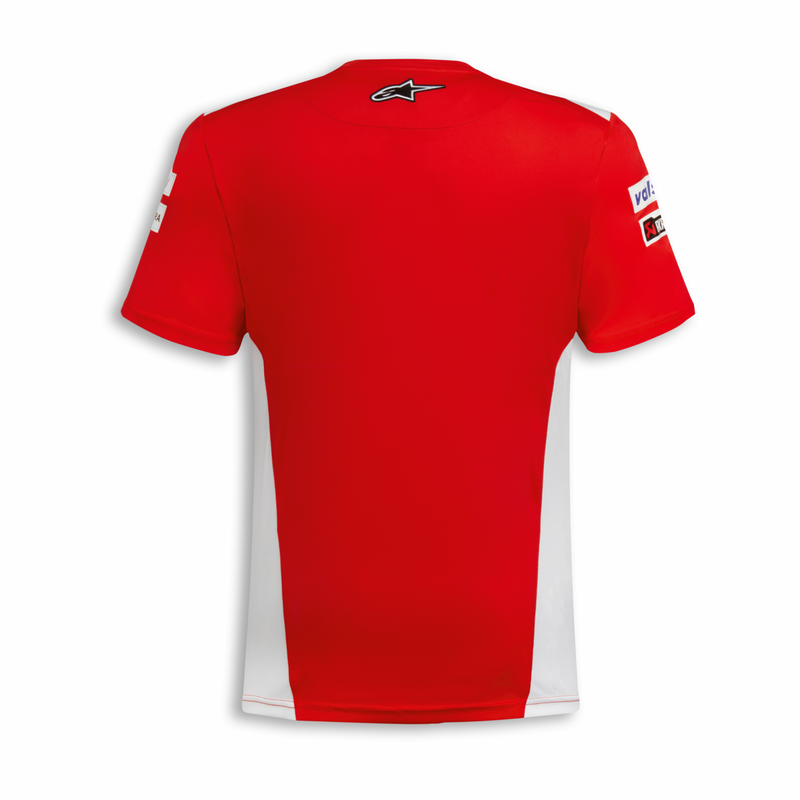 Composition: 100% cotton.